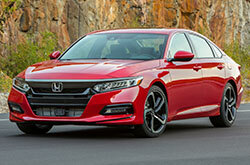 The Honda Accord has received its most dramatic redesign in over four decades and critics are impressed. In fact, in a comparison of the new 1.5L Accord against the redesigned Camry, Motor Trend said the Accord "handily won because of its sophisticated interior design, spacious interior, intuitive multimedia system, and superior powertrain." So, what's changed on the redesigned 2018 Honda Accord? For starters, the car receives a new look and dimensions. Its length is slightly reduced along with its height, and width has increased a tad. While some parts have been nipped and tucked, passenger and cargo volume have both been enhanced--even on the Accord Hybrid, which had its battery relocated to provide greater trunk space. In addition, there are new turbocharged engines, an all-new chassis, new Display Audio systems with Apple CarPlay and Android Auto, and other exciting updates. We also know that many have wondered if there will be new coupe body style changes, but the two-door Accord has been discontinued for the 2018 model year. If you're sad to see it go, don't worry--Honda offers a great coupe option in the Civic lineup. Continue our 2018 Honda Accord review below to learn more. You can find the new 2018 Honda Accord for sale in Delray Beach and there are six trim levels to choose from, including: Accord LX, Accord Sport, Accord EX, Accord EX-L, Accord EX-L Navi and Accord Touring. 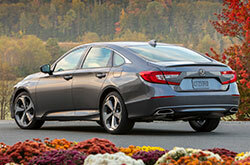 Again, the Honda Accord Coupe has been discontinued, leaving the sedan as the sole body style available. For the 2018 model year, every model is now standard with LED headlight and taillights, a 7-inch customizable digital driver's meter, dual-zone climate control and Honda Sensing, which includes driver-assist technologies like Traffic Sign Recognition--learn more in the safety section below! 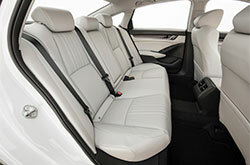 Select models also come standard with new electronics that turn the Accord into a mobile tech hub. There's a new 6-inch head-up display, smartphone-controlled remote engine start, wireless device charging, an 8-inch touchscreen with physical knobs added back this year, and next-generation HondaLink Assist with available 4G LTE Wi-Fi. If you're interested in buying or leasing a new 2018 Honda Accord Hybrid in Delray Beach, it also offers a new look and similarly impressive tech features. The Honda Accord comes equipped with a new 1.5-liter turbocharged four-cylinder engine that produces 192 horsepower and 192 lb-ft of torque. The sedan uses a continuously variable automatic transmission to conserve fuel, but the Accord Sport is available with a new six-speed manual transmission if you're into shifting your own gears. The optional V6 engine has replaced by a new 2.0-liter turbocharged four-cylinder that produces 252 horsepower and 273 lb-ft of torque, up from the 251 lb-ft rating offered by the V6. The 2.0-liter engine is attached to a new 10-speed automatic transmission. The Accord EX, EX-L, EX-L Navi, Touring and Hybrid are available with the new powertrain. If you choose the 2018 Honda Accord Hybrid, you'll benefit from a next-generation two-motor hybrid powertrain, which Honda says will offer a 600+ mile range. 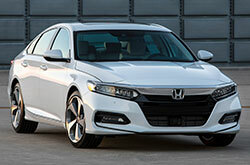 Every 2018 Honda Accord for sale in Palm Beach County now comes standard with Honda Sensing. The technology suite includes a Collision Mitigation Braking System, Lane Keeping Assist System, Adaptive Cruise Control with Low-Speed Follow, Road Departure Mitigation System and all-new Traffic Sign Recognition. Along with this, the Accord now integrates the newest version of Honda's Advanced Compatibility Engineering (ACE) safety body structure, numerous airbags, and stability and traction control. See the rest of Delray Honda's 2018 Honda Accord review below to check out a photo gallery and independent comparisons that pit the Accord against competitors like the Camry and Altima. What Honda Models are Hybrid? 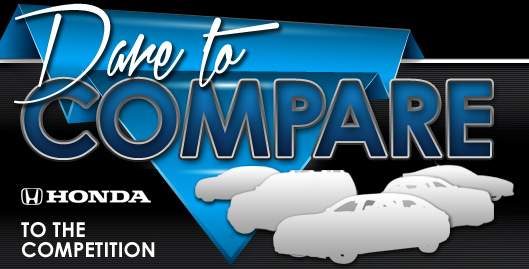 Get All the Latest Specs on the Honda Accord! When on the lookout for new car models in the Miami metro area, you may have seen the 2018 Toyota Camry, Hyundai Sonata and the Kia Optima, but the 2018 Honda Accord is also a commendable option. The car's high-end cabin features and attention-grabbing looks could wind up being just what you need from a daily driver. Take advantage of the details included in our evaluation to see if the 2018 Honda Accord is right for you; and afterward, take a look at Honda Accord finance incentives offered at Delray Honda. Find factory offers on the extolled Honda Accord at Delray Honda, a local dealership with a standout selection of Honda cars and SUVs. We hope our 2018 Honda Accord review helps you when you're all set to make your buying decision. Locate the impressive Honda Accord at Delray Honda, where you'll be won over by a test drive and see the model for yourself. Curious to see its interior before you visit? Check out our 2018 Honda Accord video to get a peek at its equipment!